What is the value of family? Priceless. Our recent vacation took us to Mt. Pisgah in North Carolina. Yes the camping was great and the food was great. We did a little bit of hiking and little bit of shopping. But we did a WHOLE LOT of family. It was an absolutely wonderful time with family relaxing in the woods eating s’mores, chatting, eating s’mores, hiking and then eating s’mores. My daughters had nearly twenty cousins to enjoy their time with. remain (that and a few pounds from all the s’mores.) I love creating lasting family portraits with the camera – it is my artists brush. 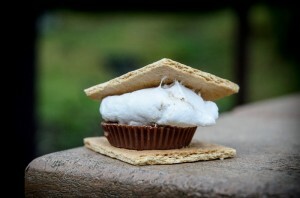 I am only including a few here from some of the landscape images that I had some time to capture – and one image of the s’mores.